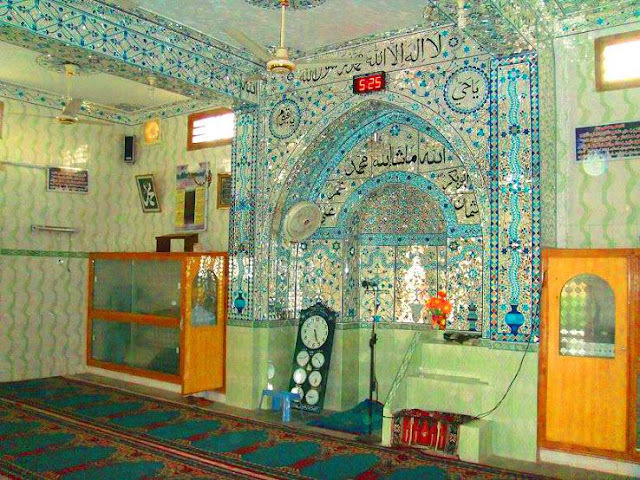 Hazro TV , Picture Of Chhachh ,Pics of Chhachies: Mehrab & inside view of a Jamia Masjid in Sherani village. Mehrab & inside view of a Jamia Masjid in Sherani village. Mehrab & inside view of a Jamia Masjid in Sherani village. Chittarkaari designing of Mehrab & inside hall was completed by professional masons from district Multan. Small pieces of glass make a good look for Masjid. Sherani is a small village between Khagwani / Musa villages & located on the distance of 3.5 kms from Hazro.